Those who put in a Martin’s Food Market application are looking to join a company that strives to offer their customers the best experiences that they can while grocery shopping and finding the lower costs that they want. Links to apply for jobs at Martin’s Food Market are at the bottom of the page. Martin’s Food Market was started in Hagerstown, Maryland. They were bought by Giant-Carlisle in 1968 during their massive expansion period. 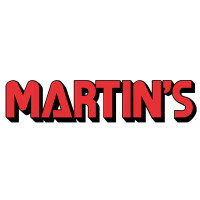 From that original store, Martin’s Food Market has expanded, opening locations in Pennsylvania, West Virginia, and Virginia to go with more stores opened in Maryland. In 1981, Giant-Carlisle and Martin’s Food Market were sold to Royal Ahold, who has retained control of them since that sale. Ever since they were purchased by Giant-Carlisle, Martin’s Food Market has striven to be some of the first people to give their customers new amenities as they shop. They offered banks, pharmacies, kitchens, photo processing, dry cleaning, and coffee shops within their stores, in their quest to truly become a one stop shop. Employees of Martin’s Food Market enjoy their work because the company tries to care for them like they’re family. Besides the benefits that the company offers, they give an assistance program to help employees with personal issues that they may be having. At the corporate level, Martin’s Food Market jobs are actually working for either Giant-Carlisle, who operates the stores, or Royal Ahold, who runs them. Several of these positions are geared towards making sure that everything is going smoothly and there are no issues within the stores. Locally, Martin’s Food Market careers are geared towards customer service and making sure that they find everything that they need. Some positions make sure that store shelves are stocked and displaying nicely in order to help customers find what they’re looking for. How old do you have to be to work at Martin’s Food Market? For most positions you need to be over sixteen, but for select positions, like the meat department, you’ll need to be over eighteen. As you look at Martin’s Food Market jobs online, make sure to read all of the position requirements closely as some need various degrees, certifications, or experiences. People with Martin’s Food Market jobs get several benefits, including: medical/vision/dental/prescription drug insurance, a 401K, and life insurance. If you’re interested in continuing their education, you will get access to several computer training classes, tuition reimbursement, and various scholarships. Assistant Meat Manager – You’ll make sure that the department meets and surpasses all company, state, and federal health standards while offering outstanding customer service to everybody that comes to your counter. As needed, you’ll do other tasks as assigned by the Meat Manager. Compensation is around $40,000 a year. CAO Associate – As needed, you’ll work to restock the shelves and check to make sure that all of the inventory is properly accounted for and displayed. Daily maintenance is also a portion of your duties. Compensation is around $40,000 a year. Night Crew Leader – On a nightly basis, you’ll work to unload various pallets and check to make sure that the store is stocked properly before leaving in the morning. Before leaving, you will make sure that the pallets are broken down properly. Compensation is around $25,000 a year. Relief Manager – As needed by store management, you will take leadership of the store and do all the duties assigned in order to make sure that they are done and done properly. You will also fill in for any empty position as needed. Compensation is around $40,000 a year. Why do you want to work for Martin’s Food Market? As this is an extremely common interview question, you should be prepared for it. Talk about what drew you to the company, whether it was the culture or benefits and why it’s your first choice in places to work. What experience do you have? If you have any relevant experience, highlight it. If you don’t have any, talk about what you can bring to the position and offer the company. Make sure to use plenty of examples to enhance and support any claims that you may make. Where do you see yourself in the next few years? Your interviewer wants to know if you see yourself with the company. Talk about how you’re willing to take on extra responsibilities and challenges in order to move up in the company, making sure to be realistic in your career expectations. As this grocery store relies heavily on customers for this business, you may be asked this question in the form of a hypothetical situation: How would you take care of an upset customer? Be practical and realistic, walking your interviewer through the steps you would take in order to turn the customer’s experience around. Several positions will require you to stand for long periods of time or to carry heavy objects, so you may be asked: Is there anything that could keep you from doing your job? The company wants to make sure that you’ll do your job to the best of your ability and will try to work with you, so make sure that you’re honest. How to apply for Martin’s Food Market online: start by selecting the area you would like to work in from the side bar. Once you’ve done that, you can either fill out a general application for the position or search for the position that you’re interested in. Make sure to read all the position requirements carefully before filling out your Martin’s Food Market application and submitting it. There is no printable application for Martin’s Food Market available on their website. Before attending your interview, do research on the grocery store and the industry in order to create a list of questions that you can ask. This may seem excessive, especially for an entry level position, but it will place you in front of the other candidates as it shows that you think ahead. Dress for your interview in business casual as your interview will take place in a semi-formal setting. If you’ve applied for a managerial or supervisory position, a suit is appropriate attire. Have a positive and friendly demeanor because it will give a good impression and show that you’re willing to work with customers. Show gratitude for the opportunity to interview with Martin’s Food Market. After your interview, inquire about the best way to check on your hiring status as only some candidates will learn if they got the job during their interview because Martin’s Food Market will want to screen all candidates before making a final decision on who they hire. Giant Food Stores: See our guide for careers at Giant Food Stores. Market Basket: See this page for jobs at Market Basket. United Supermarkets: Visit the United Supermarkets application. Ralphs: Visit the job application for Ralphs to apply today. Vons: For employment at Vons visit the application page.